Update: My website is upgraded and running now.... Cuties......don't forget that Jim is taking my website down at noon CST today to do the major security upgrade....he is thinking it can take up to 48 hours to complete...please say a little prayer that all goes well.....Thanks!! I know......sadly he has to individually reload everyones wish list, so this will take him awhile...…..
Hope all is going well. It's good to have a sense of humor to get through it all. I, too, like your picture. I like the changes too! Big pictures let me see more detail. Can we access our old wish list? Try it now....let us know if it is there..
Best wishes in this endeavor! My fingers and toes are crossed. Also, I have an open bottle of sherry. Will that do? Hope all goes well....and Yes, Please! Fingers crossed! I hope all goes well! 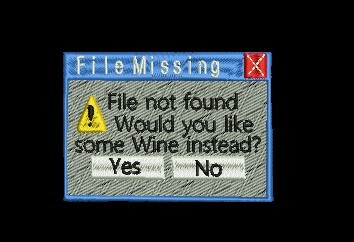 I keep pressing "yes", but I am not getting any wine. Guess I have to go pour my own. :) Hope all goes well for you. You've got my prayers since I don't drink wine or eat chocolate. Would crossed fingers help? Or maybe the flavor of ice cream you like? Cute pic. I do not drink so I guess chocolate would work. Lol! Christie said she is bringing some special chocolate. Lucky you......I don't drink either, and hopefully this won't drive me to it...LOL! Wine may not be strong enough!!!! Prayers that all works out without much delay. Yes, wine would be nice.